Amazon is having a sale on selected Blu-ray Discs that discount the retail by 40-45%. The discount really puts Blu-ray at an affordable price, and for the most part these are not your discount bin titles. The best deal they have going is Ocean’s Thirteen for $19.95. 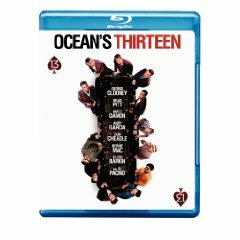 The retail price of this Blu-ray Disc is normally $35.99, a savings of $16. The cheapest BD player from the Amazon stock is the Sony BDP-S300 which is still at $299. The Sony player was originally priced at $399 but has been at $299 for quite a while now. The Samsung BD-P1500 and Sharp Aquos BDHP20U (both 1080p), are priced about the same.